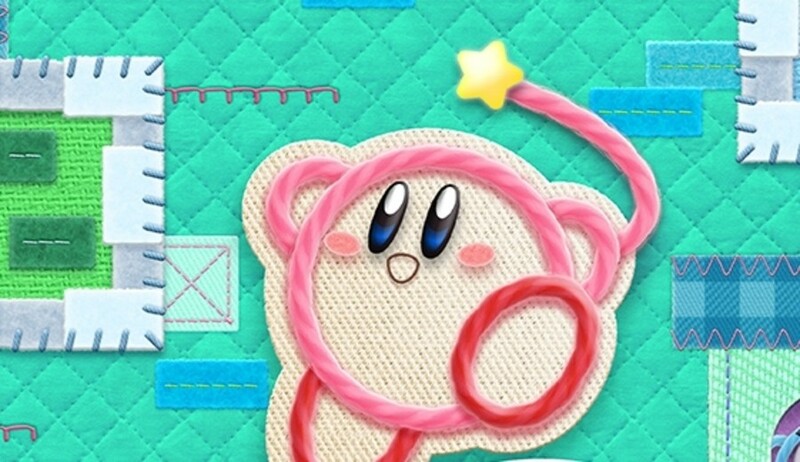 In case you forgot the 3DS was still being supported by Nintendo, this new Japanese trailer for Kirby's Extra Epic Yarn is here to remind you there are still games to look forward to on the smash-hit portable device. It's nice to see how well the game actually runs on the 3DS. By the looks of it, it's chugging along at a steady pace even if the visuals aren't quite as crisp as the original release. Kirby's Extra Epic Yarn arrives locally on 8th March. Will you be revisiting this game on the 3DS? Did you play the original title on Wii? Tell us below. @MarioBrax I see what you did there! does this game support stereoscopic 3d? @TossedLlama No. If you look up the cover it says "Plays only in 2D"
But literally 3DS is Out of game ideas right now. 3DS is already in the Twilight age now. I hope this isn’t the 3ds’ last game by Nintendo. I want them to be done...... but not like this. It is a dimension as vast as space and as three dimensional as a 3-D gimmick picture playing in your local cinema. This is the dimension of old ideas. Already have this on order. Liked watching the kids play this on the Wii but never tried my hand at it. Looking forward to experiencing it myself on 3DS. I thought this game was charming as hell on the Wii, but I’d sooner buy it again on my Switch than my 3DS. Maybe in due time? Probably the last new game I'll pick up for 3DS. Nintendo games in the Iwata's era has so much charm. None of the new Nintendo games has that same 'feeling' anymore. @Mrtoad I read this in Rod Serling's voice. Awesome. I don't think I'm getting this 3DS version, but I loved the original game. It was perfect for the times I babysat--a game where you can't die! The overworld theme of the "Grass Land" is the music track I listen to privately, whenever a relative or friend of mine passes away, starting with my grandmother. I'm not kidding. It's a beautiful piece of music that has become my tradition for bittersweet circumstances. The new modes and features kind of make me want to play this again, but absolutely not at $40. If Nintendo could ease up on the MSRP of 3DS games (considering they’re all remakes at this point), I’m sure they could sell a whole lot more of them, especially considering most people have moved on entirely. Why isn't stuff like that on Switch? I loved the original on the Wii for some light-hearted co-op fun. Wouldn't this be perfect for the Switch? Perhaps even in a bundle with some matching Joy-Cons. I finally got around to playing this about 3 or 4 years ago. It’s a really nice Kirby game, and certainly better than Star Allies. Its a lovely game but something this delightful i want only on a bigger screen. I love that 3D is getting a few of these conversions from Wii and whatever, but I honestly just think they'd all have been better off coming to the Switch, or at least in addition to the 3DS versions. Really looking forward to this, didn't get around to buying it on the Wii. I think I'll stick with the Wii version. Love this game, though! With how the 3DS was mistreated while Nintendo was focusing on turning around the Wii U for a couple of years, I'd of never bet we'd still be seeing support years later in 2019 (Even if they're just ports). I thought we'd see the 1st party releases dry up 3 or 4 years ago. @NerdyBoutKirby Good choice for you, as well! Each person has a different approach or selection, but as long as our music selections are appropriate and important to each one of us, music can help convey emotions. My condolences for your own losses, yo.